Friday’s Favorite Links/News for JWS ! Below are my favorite links for the day! 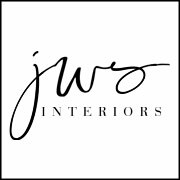 I’m also excited to soon share a new collaboration JWS Interiors has been working on! We will announce it in September! -Just bought this fab rug for our family room. Fingers crossed it works! And what a steal! -This Free People dress is super cute and on sale! I’d need to examine with you here. Which is not something I usually do! I enjoy studying a submit that can make folks think. Additionally, thanks for allowing me to remark! Thank you for every other informative site. Where else may I am getting that kind of info written in such an ideal way? I’ve a venture that I’m simply now running on, and I’ve been on the glance out for such info. I loved up to you’ll obtain carried out proper here. The caricature is tasteful, your authored subject matter stylish. nonetheless, you command get bought an edginess over that you would like be delivering the following. unwell no doubt come further earlier once more since exactly the same nearly a lot incessantly inside of case you defend this hike. Thanks for sharing excellent informations. Your web site is very cool. I am impressed by the details that you’ve on this web site. It reveals how nicely you understand this subject. Bookmarked this website page, will come back for more articles. You, my pal, ROCK! I found simply the info I already searched everywhere and simply could not come across. What a perfect website. Thank you, I’ve just been searching for info about this subject for a long time and yours is the best I have found out till now. However, what concerning the bottom line? Are you positive concerning the supply? Whats Going down i’m new to this, I stumbled upon this I’ve found It absolutely helpful and it has helped me out loads. I’m hoping to contribute & assist other users like its aided me. Great job. Hi, i read your blog from time to time and i own a similar one and i was just wondering if you get a lot of spam responses? If so how do you prevent it, any plugin or anything you can advise? I get so much lately it’s driving me crazy so any support is very much appreciated. Hello, Neat post. There’s an issue along with your site in internet explorer, would test this?K IE nonetheless is the market leader and a huge element of other folks will miss your excellent writing due to this problem. You actually make it appear really easy along with your presentation however I find this topic to be actually something which I think I’d never understand. It seems too complex and extremely broad for me. I’m having a look ahead on your subsequent submit, I will attempt to get the grasp of it! Great site you have here but I was wondering if you knew of any discussion boards that cover the same topics talked about in this article? I’d really love to be a part of community where I can get comments from other experienced people that share the same interest. If you have any recommendations, please let me know. Thanks! Have you ever considered creating an ebook or guest authoring on other blogs? I have a blog based on the same subjects you discuss and would love to have you share some stories/information. I know my readers would enjoy your work. If you are even remotely interested, feel free to shoot me an e-mail. I believe this site has some real superb information for everyone :D. “Anybody who watches three games of football in a row should be declared brain dead.” by Erma Bombeck. Very interesting subject, appreciate it for putting up. “The rest is silence.” by William Shakespeare. Magnificent website. A lot of useful info here. I am sending it to several friends ans also sharing in delicious. And certainly, thank you for your sweat! hey there and thank you for your info – I have certainly picked up anything new from right here. I did however expertise a few technical points using this site, since I experienced to reload the web site a lot of times previous to I could get it to load properly. I had been wondering if your web host is OK? Not that I’m complaining, but slow loading instances times will often affect your placement in google and can damage your high quality score if ads and marketing with Adwords. Anyway I am adding this RSS to my e-mail and could look out for a lot more of your respective exciting content. Ensure that you update this again very soon..
Hiya, I’m really glad I’ve found this information. Today bloggers publish only about gossips and internet and this is really frustrating. A good site with exciting content, that is what I need. Thank you for keeping this website, I will be visiting it. Do you do newsletters? Cant find it. Hi my family member! I want to say that this article is awesome, great written and include approximately all important infos. I would like to peer extra posts like this . I was reading through some of your blog posts on this website and I conceive this web site is really instructive! Keep putting up. Currently it seems like Expression Engine is the top blogging platform out there right now. (from what I’ve read) Is that what you’re using on your blog? Really instructive and wonderful anatomical structure of content material, now that’s user pleasant (:. Thanks for helping out, good information. “Whoever obeys the gods, to him they particularly listen.” by Homer. I’ll immediately seize your rss feed as I can not find your e-mail subscription hyperlink or e-newsletter service. Do you have any? Please allow me recognise in order that I may subscribe. Thanks. Rattling great information can be found on blog. “I believe in nothing, everything is sacred. I believe in everything, nothing is sacred.” by Tom Robbins. Some truly excellent info , Glad I found this. “Desire creates the power.” by Raymond Holliwell. It?¦s truly a nice and helpful piece of info. I am satisfied that you simply shared this useful information with us. Please keep us up to date like this. Thank you for sharing. I have been browsing online more than three hours today, but I by no means discovered any interesting article like yours. It?¦s beautiful price sufficient for me. In my opinion, if all site owners and bloggers made excellent content material as you probably did, the web will be a lot more helpful than ever before. Hello.This article was really motivating, particularly since I was searching for thoughts on this subject last Saturday. I have read some good stuff here. Certainly worth bookmarking for revisiting. I wonder how a lot effort you set to create this kind of wonderful informative site. Thanks , I’ve recently been looking for info approximately this topic for ages and yours is the greatest I have came upon so far. However, what concerning the bottom line? Are you positive concerning the supply? That is the suitable blog for anybody who desires to seek out out about this topic. You realize a lot its nearly hard to argue with you (not that I actually would need…HaHa). You undoubtedly put a new spin on a topic thats been written about for years. Great stuff, simply nice! I do like the way you have presented this specific difficulty and it does indeed provide us some fodder for consideration. On the other hand, because of just what I have witnessed, I simply just trust when the remarks pile on that men and women remain on issue and in no way get started on a tirade associated with some other news du jour. Yet, thank you for this excellent point and whilst I can not go along with the idea in totality, I regard your viewpoint. Hello, Neat post. There’s an issue along with your website in web explorer, would check this?K IE nonetheless is the market chief and a good element of folks will omit your great writing due to this problem. you’re really a good webmaster. The web site loading speed is amazing. It seems that you’re doing any unique trick. Furthermore, The contents are masterwork. you’ve done a great job on this topic! Very efficiently written post. It will be supportive to everyone who employess it, as well as myself. Keep doing what you are doing – for sure i will check out more posts. Some genuinely good content on this site, thanks for contribution. I am now not certain the place you are getting your information, however good topic. I needs to spend a while studying much more or figuring out more. Thank you for wonderful info I used to be searching for this information for my mission. fantastic publish, very informative. I wonder why the other experts of this sector do not realize this. You must proceed your writing. I’m confident, you’ve a great readers’ base already! Just wanna input on few general things, The website design and style is perfect, the written content is real great. “We can only learn to love by loving.” by Iris Murdoch. Great – I should certainly pronounce, impressed with your website. I had no trouble navigating through all the tabs as well as related information ended up being truly easy to do to access. I recently found what I hoped for before you know it at all. Reasonably unusual. Is likely to appreciate it for those who add forums or something, site theme . a tones way for your customer to communicate. Nice task. Hey there would you mind letting me know which web host you’re using? I’ve loaded your blog in 3 different internet browsers and I must say this blog loads a lot quicker then most. Can you recommend a good web hosting provider at a honest price? Kudos, I appreciate it! I am glad to be a visitor of this stark blog! , regards for this rare info ! . You made some good points there. I looked on the internet for the issue and found most guys will approve with your website. Thank you, I’ve recently been looking for information about this topic for a long time and yours is the best I have came upon till now. But, what concerning the conclusion? Are you sure in regards to the source? I’ve read some good stuff here. Definitely worth bookmarking for revisiting. I wonder how much effort you put to make such a great informative web site. Magnificent web site. Lots of useful information here. I am sending it to a few buddies ans additionally sharing in delicious. And certainly, thank you on your sweat! Very good written post. It will be valuable to anyone who employess it, including me. Keep up the good work – looking forward to more posts. I would like to thnkx for the efforts you have put in writing this site. I’m hoping the same high-grade site post from you in the upcoming as well. In fact your creative writing skills has inspired me to get my own site now. Really the blogging is spreading its wings quickly. Your write up is a great example of it. I am glad to be a visitant of this consummate website! , regards for this rare information! . I?¦ve recently started a site, the info you provide on this website has helped me greatly. Thank you for all of your time & work. I simply had to say thanks again. I am not sure what I might have gone through without the type of suggestions revealed by you relating to such theme. It had become a real alarming concern in my position, nevertheless viewing your expert tactic you dealt with that forced me to jump over fulfillment. I’m just grateful for this service and in addition hope that you know what a powerful job you were doing educating most people all through a blog. I am sure you’ve never met all of us. Great – I should certainly pronounce, impressed with your website. I had no trouble navigating through all the tabs and related info ended up being truly simple to do to access. I recently found what I hoped for before you know it in the least. Quite unusual. Is likely to appreciate it for those who add forums or something, site theme . a tones way for your client to communicate. Excellent task..
You are my breathing in, I possess few web logs and sometimes run out from post :). “Follow your inclinations with due regard to the policeman round the corner.” by W. Somerset Maugham. Thanks for another informative blog. Where else could I get that kind of info written in such a perfect way? I have a project that I’m just now working on, and I’ve been on the look out for such info. Hi my loved one! I want to say that this article is awesome, nice written and include almost all significant infos. I’d like to see more posts like this. Glad to be one of many visitors on this amazing site : D.
Very nice post. I just stumbled upon your weblog and wanted to say that I’ve really loved surfing around your blog posts. In any case I’ll be subscribing in your feed and I am hoping you write again soon! Excellent post. I used to be checking continuously this blog and I am impressed! Extremely useful info particularly the remaining phase 🙂 I take care of such info much. I was seeking this certain info for a long time. Thank you and best of luck. Enjoyed examining this, very good stuff, regards. “A man may learn wisdom even from a foe.” by Aristophanes. It is really a great and helpful piece of information. I?¦m happy that you simply shared this useful info with us. Please stay us informed like this. Thank you for sharing. I do accept as true with all of the concepts you have introduced on your post. They’re really convincing and will definitely work. Nonetheless, the posts are very brief for beginners. May you please prolong them a bit from subsequent time? Thank you for the post. Really clean internet site, thanks for this post. I was reading some of your blog posts on this website and I believe this web site is real informative ! Retain putting up. I have been browsing online greater than three hours these days, yet I never discovered any interesting article like yours. It’s lovely worth sufficient for me. In my view, if all webmasters and bloggers made excellent content as you probably did, the net will probably be a lot more useful than ever before. “It’s all right to have butterflies in your stomach. Just get them to fly in formation.” by Dr. Rob Gilbert. It?¦s really a nice and useful piece of information. I?¦m satisfied that you simply shared this useful information with us. Please stay us informed like this. Thanks for sharing. You completed some fine points there. I did a search on the subject matter and found mainly persons will agree with your blog. I’ve been surfing online more than three hours as of late, yet I never found any fascinating article like yours. It is lovely price enough for me. In my opinion, if all site owners and bloggers made excellent content material as you did, the net can be a lot more helpful than ever before. I like looking through and I conceive this website got some truly useful stuff on it! . I cling on to listening to the news update lecture about getting boundless online grant applications so I have been looking around for the most excellent site to get one. Could you advise me please, where could i find some? My spouse and i got cheerful Albert managed to finish off his web research from your precious recommendations he acquired using your web page. It is now and again perplexing to simply be giving freely steps that many other people may have been selling. We really recognize we now have the writer to appreciate for that. These illustrations you’ve made, the simple site navigation, the friendships you can help foster – it’s mostly fantastic, and it’s really making our son and the family know that that theme is pleasurable, and that is extremely important. Thanks for everything! I’m not certain the place you are getting your information, however good topic. I must spend some time learning much more or working out more. Thank you for wonderful info I used to be on the lookout for this information for my mission. Fantastic website. Plenty of useful information here. I am sending it to several buddies ans additionally sharing in delicious. And of course, thank you in your sweat! This design is spectacular! You certainly know how to keep a reader amused. Between your wit and your videos, I was almost moved to start my own blog (well, almost…HaHa!) Great job. I really enjoyed what you had to say, and more than that, how you presented it. Too cool! It’s a shame you don’t have a donate button! I’d without a doubt donate to this excellent blog! I guess for now i’ll settle for book-marking and adding your RSS feed to my Google account. I look forward to fresh updates and will talk about this blog with my Facebook group. Talk soon! you’re in reality a good webmaster. The site loading velocity is amazing. It sort of feels that you are doing any unique trick. In addition, The contents are masterwork. you have done a excellent job in this topic! It is truly a great and helpful piece of information. I’m glad that you just shared this helpful info with us. Please stay us informed like this. Thanks for sharing. you’re really a good webmaster. The site loading speed is incredible. It seems that you are doing any unique trick. Furthermore, The contents are masterwork. you have done a magnificent job on this topic! hello!,I love your writing so so much! percentage we be in contact extra approximately your post on AOL? I need an expert on this area to resolve my problem. Maybe that’s you! Taking a look forward to peer you. Thank you a lot for sharing this with all folks you actually realize what you’re talking about! Bookmarked. Please additionally talk over with my website =). We can have a link exchange arrangement between us! Some genuinely great information, Glad I detected this. “To be conscious that we are perceiving or thinking is to be conscious of our own existence.” by Aristotle. Hello would you mind letting me know which hosting company you’re utilizing? I’ve loaded your blog in 3 completely different web browsers and I must say this blog loads a lot quicker then most. Can you recommend a good internet hosting provider at a reasonable price? Kudos, I appreciate it! I have been exploring for a little for any high quality articles or blog posts in this sort of space . Exploring in Yahoo I at last stumbled upon this site. Reading this info So i am satisfied to express that I’ve a very excellent uncanny feeling I came upon exactly what I needed. I so much surely will make sure to don’t put out of your mind this website and provides it a look on a constant basis. Heya! I’m at work browsing your blog from my new iphone 3gs! Just wanted to say I love reading your blog and look forward to all your posts! Keep up the excellent work! My wife and i felt so comfortable when Chris managed to conclude his analysis through the precious recommendations he was given through the web site. It’s not at all simplistic to just choose to be releasing strategies that the rest could have been selling. And we all fully grasp we now have you to give thanks to for this. The main explanations you’ve made, the straightforward website menu, the friendships your site help engender – it’s got mostly extraordinary, and it’s leading our son and the family believe that that article is exciting, and that’s extraordinarily serious. Many thanks for all! Fantastic site. Plenty of useful information here. I am sending it to a few friends ans also sharing in delicious. And certainly, thanks for your effort! I real delighted to find this web site on bing, just what I was searching for : D besides saved to fav. Do you have a spam issue on this website; I also am a blogger, and I was wanting to know your situation; many of us have developed some nice procedures and we are looking to swap methods with others, why not shoot me an e-mail if interested. Do you mind if I quote a couple of your posts as long as I provide credit and sources back to your blog? My blog site is in the exact same area of interest as yours and my users would genuinely benefit from some of the information you present here. Please let me know if this okay with you. Thanks! I really like your writing style, good info, thank you for putting up :D. “I will show you fear in a handful of dust.” by T. S. Eliot. I as well as my pals appeared to be looking at the good guidelines on your web blog and then then I had a terrible feeling I never thanked the web site owner for those techniques. Those young men were consequently very interested to see them and have now sincerely been tapping into these things. Thank you for turning out to be well accommodating and then for getting variety of nice tips millions of individuals are really desperate to understand about. My very own honest regret for not expressing gratitude to earlier. Do you have a spam problem on this site; I also am a blogger, and I was curious about your situation; we have developed some nice procedures and we are looking to swap solutions with other folks, please shoot me an email if interested. Hello my loved one! I want to say that this post is amazing, great written and come with approximately all significant infos. I’d like to see extra posts like this. the next! All the best!! What’s Happening i am new to this, I stumbled upon this I’ve found It positively useful and it has helped me out loads. I hope to contribute & aid other users like its helped me. Great job. I do accept as true with all the ideas you’ve introduced to your post. They are really convincing and will definitely work. Still, the posts are too short for beginners. May just you please extend them a little from next time? Thanks for the post. Hey very nice website!! Man .. Beautiful .. Amazing .. I will bookmark your site and take the feeds also…I am happy to find a lot of useful info here in the post, we need work out more strategies in this regard, thanks for sharing. . . . . .
Great post, you have pointed out some good details , I too conceive this s a very good website. I have read some good stuff here. Definitely worth bookmarking for revisiting. I wonder how much effort you put to make such a fantastic informative web site. Greetings! I’ve been following your blog for some time now and finally got the bravery to go ahead and give you a shout out from Kingwood Texas! Just wanted to mention keep up the great job! I was very happy to seek out this net-site.I needed to thanks for your time for this excellent learn!! I definitely enjoying each little bit of it and I’ve you bookmarked to take a look at new stuff you weblog post. Thanks for sharing superb informations. Your web-site is so cool. I’m impressed by the details that you have on this site. It reveals how nicely you perceive this subject. Bookmarked this website page, will come back for extra articles. You, my pal, ROCK! I found just the information I already searched everywhere and simply could not come across. What a great website. I really like your writing style, superb info, thanks for putting up :D. “I will show you fear in a handful of dust.” by T. S. Eliot. I’ve been absent for a while, but now I remember why I used to love this web site. Thank you, I?¦ll try and check back more often. How frequently you update your web site? I was recommended this website by my cousin. I am now not certain whether or not this put up is written by him as nobody else know such distinct approximately my trouble. You’re wonderful! Thank you! naturally like your web site but you need to check the spelling on several of your posts. Many of them are rife with spelling problems and I find it very bothersome to tell the truth nevertheless I will certainly come back again. hello there and thank you to your information – I have definitely picked up something new from proper here. I did on the other hand experience a few technical points using this site, as I experienced to reload the website lots of occasions previous to I may just get it to load properly. I had been wondering if your web hosting is OK? Now not that I am complaining, however sluggish loading instances instances will often impact your placement in google and can harm your high quality rating if advertising and ***********|advertising|advertising|advertising and *********** with Adwords. Anyway I’m including this RSS to my email and can glance out for much extra of your respective intriguing content. Make sure you replace this again very soon..
Its wonderful as your other content : D, thankyou for putting up. “Reason is the substance of the universe. The design of the world is absolutely rational.” by Georg Wilhelm Friedrich Hegel. Appreciating the hard work you put into your blog and in depth information you provide. It’s good to come across a blog every once in a while that isn’t the same unwanted rehashed information. Great read! I’ve saved your site and I’m adding your RSS feeds to my Google account. Its such as you read my thoughts! You seem to understand a lot approximately this, like you wrote the e book in it or something. I believe that you simply could do with some to force the message home a little bit, but instead of that, this is great blog. An excellent read. I will certainly be back. obviously like your web-site but you have to take a look at the spelling on several of your posts. A number of them are rife with spelling problems and I find it very bothersome to tell the truth then again I?¦ll certainly come back again. I have learn a few good stuff here. Certainly worth bookmarking for revisiting. I surprise how so much effort you place to make such a excellent informative website. Wow that was unusual. I just wrote an extremely long comment but after I clicked submit my comment didn’t show up. Grrrr… well I’m not writing all that over again. Anyway, just wanted to say excellent blog! I really like what you guys are usually up too. Such clever work and reporting! Keep up the good works guys I’ve you guys to our blogroll. Yay google is my world beater assisted me to find this great internet site! . As I website owner I believe the articles here is very superb, regards for your efforts. You have remarked very interesting details! ps nice web site. “Where can I find a man governed by reason instead of habits and urges” by Kahlil Gibran. Hi, i feel that i saw you visited my weblog so i came to “return the favor”.I’m attempting to find things to enhance my web site!I guess its adequate to make use of a few of your ideas!! It’s appropriate time to make a few plans for the longer term and it is time to be happy. I have read this submit and if I may just I desire to suggest you few fascinating things or tips. Maybe you can write subsequent articles regarding this article. I wish to read even more issues about it! Merely wanna comment on few general things, The website design and style is perfect, the subject matter is rattling superb : D.
I conceive this web site has got some really wonderful info for everyone. “It is easy enough to define what the Commonwealth is not. Indeed this is quite a popular pastime.” by Elizabeth II. Simply desire to say your article is as amazing. The clarity in your post is just spectacular and i could assume you’re an expert on this subject. Well with your permission allow me to grab your RSS feed to keep up to date with forthcoming post. Thanks a million and please keep up the gratifying work. F*ckin¦ remarkable issues here. I am very glad to peer your article. Thank you so much and i’m taking a look ahead to contact you. Will you please drop me a e-mail? Fantastic site. Lots of useful information here. I’m sending it to some pals ans additionally sharing in delicious. And obviously, thank you in your effort! Hello there, just changed into aware of your blog via Google, and found that it’s truly informative. I am going to watch out for brussels. I will appreciate if you happen to continue this in future. Lots of other people will be benefited from your writing. Cheers! Thanks for one’s marvelous posting! I seriously enjoyed reading it, you might be a great author.I will remember to bookmark your blog and will often come back very soon. I want to encourage you to continue your great work, have a nice weekend! Hello my friend! I wish to say that this article is amazing, great written and come with almost all vital infos. I’d like to see more posts like this. I not to mention my buddies have been viewing the excellent thoughts on your site and so all of a sudden got an awful feeling I had not thanked the site owner for those techniques. The guys were definitely joyful to read all of them and have sincerely been taking pleasure in them. Thanks for truly being indeed helpful and also for choosing these kinds of excellent ideas millions of individuals are really desperate to be informed on. Our own honest regret for not saying thanks to sooner. Simply desire to say your article is as surprising. The clearness for your submit is simply cool and that i can think you are an expert on this subject. Fine along with your permission allow me to grasp your RSS feed to stay up to date with imminent post. Thanks 1,000,000 and please continue the rewarding work. I rattling delighted to find this web site on bing, just what I was searching for : D likewise saved to favorites. I needed to put you a little observation to be able to give many thanks as before just for the magnificent concepts you have shared on this website. It has been really strangely generous of you to give openly what a number of us would have marketed for an e-book to generate some cash for their own end, certainly considering that you might well have tried it if you wanted. The creative ideas likewise worked to become easy way to be sure that other individuals have similar dream like mine to know whole lot more pertaining to this condition. I’m certain there are lots of more pleasant periods in the future for individuals who go through your blog. I am not real fantastic with English but I come up this very leisurely to translate. Thanks – Enjoyed this post, can you make it so I get an email whenever you make a new update? What’s Taking place i’m new to this, I stumbled upon this I have discovered It positively helpful and it has helped me out loads. I am hoping to give a contribution & aid different users like its aided me. Good job. Pretty element of content. I simply stumbled upon your site and in accession capital to say that I get actually loved account your blog posts. Anyway I will be subscribing on your feeds and even I success you get entry to consistently fast. I definitely wanted to write down a quick note in order to appreciate you for these wonderful facts you are posting at this site. My long internet lookup has at the end of the day been paid with reliable know-how to share with my two friends. I would state that that many of us readers actually are very much lucky to dwell in a very good network with very many lovely professionals with great pointers. I feel rather blessed to have used your web site and look forward to really more pleasurable times reading here. Thank you once again for a lot of things. Nice read, I just passed this onto a friend who was doing some research on that. And he actually bought me lunch as I found it for him smile Therefore let me rephrase that: Thanks for lunch! “Love is made in heaven and consummated on earth.” by John Lyly. I have been exploring for a little for any high-quality articles or weblog posts on this sort of area . Exploring in Yahoo I eventually stumbled upon this website. Studying this information So i?¦m happy to exhibit that I’ve an incredibly excellent uncanny feeling I found out exactly what I needed. I so much unquestionably will make certain to don?¦t overlook this web site and provides it a look on a constant basis. Some really wonderful articles on this web site, thanks for contribution. “It is not often that someone comes along who is a true friend and a good writer.” by E. B. White. F*ckin’ amazing issues here. I’m very glad to see your post. Thank you a lot and i am taking a look forward to contact you. Will you kindly drop me a e-mail? Hi! This is my 1st comment here so I just wanted to give a quick shout out and tell you I genuinely enjoy reading through your posts. Can you recommend any other blogs/websites/forums that cover the same subjects? Thanks! Hello there! I know this is kinda off topic nevertheless I’d figured I’d ask. Would you be interested in exchanging links or maybe guest authoring a blog post or vice-versa? My blog covers a lot of the same subjects as yours and I think we could greatly benefit from each other. If you might be interested feel free to send me an email. I look forward to hearing from you! Wonderful blog by the way! Hiya, I am really glad I’ve found this info. Today bloggers publish only about gossips and web and this is really irritating. A good web site with interesting content, that’s what I need. Thank you for keeping this site, I will be visiting it. Do you do newsletters? Cant find it. I think this website contains some rattling great info for everyone. “Billy T-T-T-T-Today, Junior” by Billy Madison. I¦ll right away take hold of your rss feed as I can not in finding your e-mail subscription link or e-newsletter service. Do you’ve any? Kindly let me recognize in order that I could subscribe. Thanks. Very interesting points you have observed, thanks for putting up. “You bluffed me I don’t like it when people bluff me. It makes me question my perception of reality.” by Andrew Schneider. You completed several good points there. I did a search on the subject matter and found nearly all persons will consent with your blog. You made some decent points there. I looked on the web for the issue and located most individuals will associate with with your website. What’s Happening i am new to this, I stumbled upon this I’ve found It absolutely helpful and it has aided me out loads. I hope to contribute & assist other users like its aided me. Great job. I have been surfing on-line greater than three hours these days, but I by no means found any fascinating article like yours. It?¦s beautiful worth sufficient for me. In my view, if all webmasters and bloggers made excellent content material as you probably did, the net will be much more useful than ever before. Some truly wonderful info , Gladiolus I discovered this. I’m still learning from you, but I’m trying to reach my goals. I absolutely love reading everything that is posted on your blog.Keep the aarticles coming. I enjoyed it! Hey! I’m at work surfing around your blog from my new apple iphone! Just wanted to say I love reading your blog and look forward to all your posts! Carry on the excellent work! Hey! Quick question that’s totally off topic. Do you know how to make your site mobile friendly? My site looks weird when viewing from my iphone 4. I’m trying to find a template or plugin that might be able to resolve this problem. If you have any recommendations, please share. Appreciate it! Yesterday, while I was at work, my cousin stole my apple ipad and tested to see if it can survive a 30 foot drop, just so she can be a youtube sensation. My apple ipad is now broken and she has 83 views. I know this is completely off topic but I had to share it with someone! Do you have a spam problem on this blog; I also am a blogger, and I was wanting to know your situation; many of us have created some nice practices and we are looking to swap techniques with other folks, be sure to shoot me an e-mail if interested. Merely a smiling visitor here to share the love (:, btw great layout. “Make the most of your regrets… . To regret deeply is to live afresh.” by Henry David Thoreau. I believe this web site holds very superb indited subject material articles. I’d must examine with you here. Which is not one thing I often do! I get pleasure from reading a post that will make people think. Additionally, thanks for permitting me to comment! I’m still learning from you, while I’m making my way to the top as well. I certainly love reading everything that is written on your site.Keep the tips coming. I liked it! Heya i am for the primary time here. I found this board and I find It really helpful & it helped me out much. I hope to offer something back and help others such as you aided me. Heya i am for the primary time here. I came across this board and I find It truly helpful & it helped me out much. I am hoping to give one thing back and help others such as you helped me. Thanks for another informative web site. Where else may just I get that type of info written in such an ideal approach? I’ve a mission that I am simply now operating on, and I have been at the glance out for such information. Real nice style and design and good written content, hardly anything else we require : D.
I was recommended this web site by way of my cousin. I’m no longer certain whether this publish is written by him as nobody else know such particular about my trouble. You’re incredible! Thanks! all my associates, because if like to read it after that my friends will too. i am reading this great informative article here at my house. I am curious to find out what blog platform you have been using? I’m having some minor security issues with my latest website and I’d like to find something more secure. Do you have any solutions? Hello, Neat post. There’s a problem together with your site in internet explorer, would check thisK IE still is the marketplace leader and a good section of other people will miss your fantastic writing because of this problem. What i do not understood is if truth be told how you’re now not really a lot more neatly-appreciated than you might be now. You’re so intelligent. You understand thus considerably in relation to this matter, made me individually believe it from a lot of numerous angles. Its like men and women don’t seem to be fascinated except it¦s something to do with Woman gaga! Your personal stuffs excellent. Always deal with it up! Pretty portion of content. I simply stumbled upon your blog and in accession capital to claim that I get actually enjoyed account your weblog posts. Any way I will be subscribing in your feeds and even I fulfillment you get entry to constantly quickly. I think other website owners should take this internet site as an model, very clean and fantastic user friendly design. Greetings! Quick question that’s entirely off topic. Do you know how to make your site mobile friendly? My website looks weird when browsing from my iphone. I’m trying to find a template or plugin that might be able to correct this problem. If you have any suggestions, please share. Appreciate it! I’ve read several good stuff here. Definitely worth bookmarking for revisiting. I surprise how a lot attempt you set to create the sort of great informative web site. Yesterday, while I was at work, my cousin stole my iphone and tested to see if it can survive a thirty foot drop, just so she can be a youtube sensation. My apple ipad is now destroyed and she has 83 views. I know this is completely off topic but I had to share it with someone! Magnificent web site. Plenty of useful information here. I’m sending it to some friends ans also sharing in delicious. And obviously, thanks for your sweat! certainly like your web-site however you need to take a look at the spelling on quite a few of your posts. A number of them are rife with spelling issues and I in finding it very bothersome to inform the reality then again I’ll definitely come back again. out there that I’m totally overwhelmed .. Any tips? Bless you! I have been absent for some time, but now I remember why I used to love this website. Thank you, I¦ll try and check back more often. How frequently you update your website? You made several nice points there. I did a search on the topic and found mainly people will go along with with your blog. Nice post. I was checking constantly this blog and I am impressed! Extremely helpful info particularly the last part 🙂 I care for such information a lot. I was looking for this certain information for a very long time. Thank you and good luck. I have been exploring for a little for any high-quality articles or weblog posts in this sort of area . Exploring in Yahoo I at last stumbled upon this web site. Reading this information So i am glad to exhibit that I have an incredibly excellent uncanny feeling I came upon just what I needed. I most surely will make certain to don¦t forget this web site and give it a look regularly. Great website. A lot of useful info here. I’m sending it to several friends ans also sharing in delicious. And of course, thank you for your effort! It is perfect time to make a few plans for the long run and it’s time to be happy. I have learn this submit and if I may I want to counsel you few interesting issues or advice. Perhaps you can write next articles referring to this article. I wish to read even more things about it! I absolutely love your blog and find almost all of your post’s to be what precisely I’m looking for. Does one offer guest writers to write content available for you? I wouldn’t mind writing a post or elaborating on a number of the subjects you write regarding here. Again, awesome site! Thank you for every other informative blog. The place else may just I get that type of info written in such an ideal approach? I have a undertaking that I am just now working on, and I’ve been on the look out for such info. I have read a few good stuff here. Definitely worth bookmarking for revisiting. I wonder how so much effort you put to create this type of magnificent informative website. Perfectly pent articles, thank you for entropy. “He who establishes his argument by noise and command shows that his reason is weak.” by Michel de Montaigne. There is visibly a bundle to know about this. I think you made some good points in features also. I don’t ordinarily comment but I gotta state thanks for the post on this one : D.
Thank you for the good writeup. It actually was a amusement account it. Look advanced to more added agreeable from you! However, how could we keep up a correspondence? Very interesting details you have noted, appreciate it for posting. “My work is a game, a very serious game.” by M. C. Escher. I was suggested this blog via my cousin. I’m not certain whether this put up is written through him as no one else realize such distinctive approximately my trouble. You’re amazing! Thanks! That is really attention-grabbing, You’re a very skilled blogger. I have joined your feed and sit up for in the hunt for extra of your wonderful post. Also, I have shared your site in my social networks! Good day I am so thrilled I found your blog page, I really found you by accident, while I was searching on Aol for something else, Anyways I am here now and would just like to say thank you for a marvelous post and a all round exciting blog (I also love the theme/design), I don’t have time to look over it all at the minute but I have bookmarked it and also added in your RSS feeds, so when I have time I will be back to read much more, Please do keep up the great work. I like this web blog very much, Its a real nice situation to read and get info . F*ckin’ remarkable things here. I am very satisfied to see your article. Thanks so much and i am having a look ahead to touch you. Will you please drop me a mail? F*ckin’ awesome issues here. I’m very happy to see your article. Thank you a lot and i’m taking a look forward to touch you. Will you please drop me a mail? Aw, this was a really nice post. In idea I would like to put in writing like this moreover – taking time and actual effort to make an excellent article… but what can I say… I procrastinate alot and under no circumstances seem to get one thing done. You got a very fantastic website, Glad I detected it through yahoo. 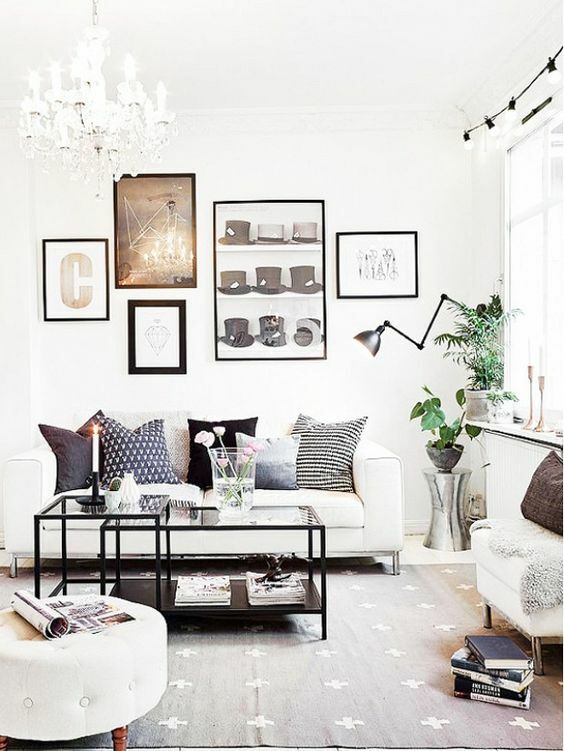 I have been exploring for a little bit for any high quality articles or weblog posts in this kind of house . Exploring in Yahoo I finally stumbled upon this website. Reading this info So i’m happy to convey that I’ve a very excellent uncanny feeling I discovered just what I needed. I such a lot surely will make sure to do not forget this site and give it a glance on a constant basis. I have been reading out a few of your posts and i can state clever stuff. I will definitely bookmark your website. You actually make it appear so easy with your presentation however I in finding this topic to be really something that I believe I’d by no means understand. It sort of feels too complex and extremely extensive for me. I am looking ahead in your subsequent post, I?¦ll attempt to get the cling of it! Very great post. I just stumbled upon your weblog and wanted to say that I’ve really enjoyed surfing around your blog posts. In any case I will be subscribing on your rss feed and I hope you write once more very soon! It’s in reality a great and useful piece of info. I’m satisfied that you simply shared this helpful info with us. Please stay us informed like this. Thank you for sharing. whoah this blog is fantastic i love reading your posts. Keep up the good work! You know, many people are searching around for this info, you could help them greatly. Hello there, You’ve performed a great job. I will definitely digg it and for my part suggest to my friends. I’m sure they will be benefited from this web site. certainly like your website however you have to check the spelling on several of your posts. A number of them are rife with spelling problems and I in finding it very troublesome to tell the truth then again I’ll surely come again again. Some really prize posts on this internet site, saved to my bookmarks. I have been exploring for a little bit for any high-quality articles or weblog posts in this sort of area . Exploring in Yahoo I finally stumbled upon this website. Studying this information So i?¦m satisfied to show that I’ve an incredibly excellent uncanny feeling I discovered exactly what I needed. I so much for sure will make sure to don?¦t disregard this web site and provides it a glance on a constant basis. I used to be more than happy to search out this net-site.I needed to thanks on your time for this glorious read!! I undoubtedly enjoying every little bit of it and I’ve you bookmarked to check out new stuff you weblog post. My developer is trying to convince me to move to .net from PHP. I have always disliked the idea because of the costs. But he’s tryiong none the less. I’ve been using WordPress on a variety of websites for about a year and am anxious about switching to another platform. I have heard excellent things about blogengine.net. Is there a way I can import all my wordpress content into it? Any kind of help would be greatly appreciated! It¦s actually a cool and helpful piece of info. I am glad that you shared this helpful info with us. Please stay us up to date like this. Thank you for sharing. I really wanted to compose a simple note so as to express gratitude to you for some of the unique ways you are placing at this website. My time-consuming internet look up has finally been compensated with pleasant knowledge to talk about with my two friends. I ‘d express that many of us site visitors actually are very endowed to exist in a notable community with so many wonderful people with very beneficial things. I feel really fortunate to have encountered the site and look forward to so many more excellent moments reading here. Thanks a lot once more for all the details. Hi there, just became alert to your blog through Google, and located that it’s truly informative. I’m gonna watch out for brussels. I will be grateful in the event you proceed this in future. Many people will probably be benefited from your writing. Cheers! 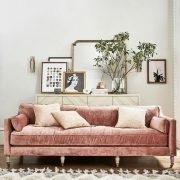 I?¦ve been exploring for a little for any high quality articles or weblog posts in this sort of house . Exploring in Yahoo I ultimately stumbled upon this web site. Reading this info So i?¦m glad to convey that I have an incredibly just right uncanny feeling I found out exactly what I needed. I so much unquestionably will make sure to do not overlook this site and give it a look on a constant basis. Greetings I am so glad I found your web site, I really found you by mistake, while I was browsing on Google for something else, Nonetheless I am here now and would just like to say many thanks for a incredible post and a all round thrilling blog (I also love the theme/design), I don’t have time to browse it all at the minute but I have book-marked it and also added your RSS feeds, so when I have time I will be back to read a lot more, Please do keep up the great job. Hey I am so thrilled I found your webpage, I really found you by accident, while I was looking on Yahoo for something else, Anyhow I am here now and would just like to say kudos for a remarkable post and a all round entertaining blog (I also love the theme/design), I don’t have time to go through it all at the minute but I have saved it and also included your RSS feeds, so when I have time I will be back to read more, Please do keep up the fantastic job. The Barclays Premier league comes to a dramatic climax on Sunday with any two clubs from five still haunted by the spectre of relegation. But who is going to go down? Survival Sunday: How do the five clubs in danger shape up? Very interesting topic, thanks for posting. “Integrate what you believe into every single area of your life.” by Meryl Streep. I used to be more than happy to seek out this net-site.I wished to thanks in your time for this wonderful read!! I positively enjoying every little little bit of it and I’ve you bookmarked to take a look at new stuff you weblog post. It is in reality a nice and useful piece of information. I am glad that you shared this useful information with us. Please stay us up to date like this. Thanks for sharing. You really make it seem so easy together with your presentation but I find this topic to be actually one thing that I think I might never understand. It seems too complicated and very extensive for me. I am taking a look ahead in your subsequent publish, I will attempt to get the grasp of it! Thanks, I’ve recently been searching for info approximately this subject for a long time and yours is the best I’ve discovered till now. But, what concerning the conclusion? Are you positive in regards to the source? I am extremely inspired with your writing talents as neatly as with the layout for your blog. Is this a paid subject matter or did you modify it yourself? Anyway keep up the nice high quality writing, it’s uncommon to peer a great weblog like this one nowadays..
With every thing which seems to be building within this particular area, a significant percentage of viewpoints are actually very exciting. On the other hand, I appologize, but I do not subscribe to your entire plan, all be it stimulating none the less. It seems to me that your remarks are not completely rationalized and in reality you are generally your self not even fully convinced of your assertion. In any case I did enjoy looking at it. I’m now not positive the place you are getting your info, however good topic. I needs to spend a while learning more or understanding more. Thank you for excellent information I was in search of this info for my mission. Hi, i feel that i noticed you visited my blog thus i got here to “return the choose”.I am trying to to find things to enhance my web site!I guess its adequate to make use of some of your concepts!! Real nice design and style and excellent articles, practically nothing else we require : D.
Thanks for the marvelous posting! I seriously enjoyed reading it, you’re a great author.I will be sure to bookmark your blog and will eventually come back down the road. I want to encourage that you continue your great work, have a nice weekend! Good day! I simply would like to give an enormous thumbs up for the good data you’ve got here on this post. I will probably be coming again to your blog for extra soon. There is noticeably a bundle to know about this. I believe you made some nice points in features also. Real superb information can be found on blog. “Preach not to others what they should eat, but eat as becomes you, and be silent.” by Epictetus. Some truly nice and useful information on this internet site, likewise I think the design and style contains fantastic features. The very heart of your writing whilst appearing reasonable originally, did not settle perfectly with me personally after some time. Someplace throughout the sentences you were able to make me a believer unfortunately only for a very short while. I nevertheless have a problem with your leaps in logic and you would do nicely to help fill in all those gaps. If you actually can accomplish that, I would surely end up being amazed. Simply wanna remark on few general things, The website style is perfect, the content material is really excellent. “The enemy is anybody who’s going to get you killed, no matter which side he’s on.” by Joseph Heller. Thanks for sharing superb informations. Your site is so cool. I am impressed by the details that you have on this web site. It reveals how nicely you understand this subject. Bookmarked this website page, will come back for more articles. You, my friend, ROCK! I found simply the info I already searched everywhere and just couldn’t come across. What a perfect website. certainly like your web site but you need to check the spelling on quite a few of your posts. A number of them are rife with spelling issues and I find it very bothersome to tell the truth nevertheless I’ll surely come back again. Thanks for the article, can you make it so I get an email whenever you write a new article? With havin so much written content do you ever run into any problems of plagorism or copyright infringement? My blog has a lot of completely unique content I’ve either created myself or outsourced but it appears a lot of it is popping it up all over the web without my authorization. Do you know any ways to help prevent content from being stolen? I’d certainly appreciate it. Greetings! This is my first comment here so I just wanted to give a quick shout out and say I genuinely enjoy reading your articles. Can you suggest any other blogs/websites/forums that deal with the same topics? Thank you so much! whoah this blog is excellent i love reading your posts. Keep up the good work! You know, lots of people are looking around for this info, you can help them greatly. Hi, Neat post. There is an issue with your web site in internet explorer, would check this… IE nonetheless is the marketplace leader and a good element of folks will leave out your excellent writing due to this problem. Thank you for another fantastic post. The place else may anybody get that type of information in such an ideal manner of writing? I’ve a presentation subsequent week, and I am at the look for such info. I must show my appreciation to the writer just for rescuing me from such a scenario. Right after surfing through the the net and finding thoughts which were not helpful, I believed my life was done. Living devoid of the solutions to the issues you have sorted out all through your main website is a crucial case, as well as the ones which might have adversely affected my entire career if I had not come across your web site. The talents and kindness in dealing with a lot of stuff was vital. I don’t know what I would have done if I had not encountered such a point like this. I am able to now look forward to my future. Thanks a lot very much for the impressive and result oriented help. I will not think twice to suggest your web blog to any person who desires assistance about this subject. Hello, Neat post. There is an issue along with your site in internet explorer, would check thisK IE still is the marketplace chief and a big component of people will miss your magnificent writing due to this problem. I’m still learning from you, while I’m trying to reach my goals. I absolutely liked reading all that is written on your website.Keep the stories coming. I enjoyed it! Hey there! Someone in my Myspace group shared this website with us so I came to check it out. I’m definitely loving the information. I’m book-marking and will be tweeting this to my followers! 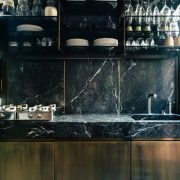 Outstanding blog and terrific style and design. Whats Going down i’m new to this, I stumbled upon this I have found It absolutely useful and it has helped me out loads. I am hoping to give a contribution & assist different users like its helped me. Great job. Real superb information can be found on blog. “I believe in nothing, everything is sacred. I believe in everything, nothing is sacred.” by Tom Robbins. Appreciating the time and energy you put into your website and detailed information you present. It’s nice to come across a blog every once in a while that isn’t the same outdated rehashed information. Excellent read! I’ve saved your site and I’m adding your RSS feeds to my Google account. Someone essentially help to make seriously articles I would state. This is the first time I frequented your website page and thus far? I amazed with the research you made to create this particular publish amazing. Great job! Great post however , I was wanting to know if you could write a litte more on this topic? I’d be very grateful if you could elaborate a little bit more. Kudos! Thanks for sharing superb informations. Your web site is very cool. I’m impressed by the details that you have on this site. It reveals how nicely you perceive this subject. Bookmarked this website page, will come back for more articles. You, my pal, ROCK! I found just the info I already searched everywhere and just couldn’t come across. What an ideal web-site. Superb website you have here but I was curious if you knew of any forums that cover the same topics discussed here? I’d really like to be a part of community where I can get suggestions from other knowledgeable people that share the same interest. If you have any recommendations, please let me know. Bless you! Very interesting points you have noted, regards for posting. “Jive Lady Just hang loose blood. She gonna handa your rebound on the med side.” by Airplane. Can I just say what a relief to search out somebody who actually knows what theyre talking about on the internet. You positively know the best way to carry a problem to light and make it important. More individuals need to read this and understand this facet of the story. I cant imagine youre no more fashionable because you positively have the gift. Howdy very nice website!! Man .. Excellent .. Wonderful .. I will bookmark your website and take the feeds additionally…I am happy to search out so many useful information right here within the publish, we’d like develop extra strategies in this regard, thanks for sharing. There are actually loads of details like that to take into consideration. That may be a great level to carry up. I supply the thoughts above as basic inspiration however clearly there are questions like the one you bring up where a very powerful thing will likely be working in trustworthy good faith. I don?t know if finest practices have emerged round things like that, however I am positive that your job is clearly identified as a good game. Both girls and boys really feel the impact of only a moment’s pleasure, for the remainder of their lives. Woah! I’m really digging the template/theme of this website. It’s simple, yet effective. A lot of times it’s very difficult to get that “perfect balance” between usability and visual appearance. I must say that you’ve done a superb job with this. Additionally, the blog loads extremely fast for me on Opera. Outstanding Blog! Really Appreciate this article, can I set it up so I receive an email sent to me whenever you write a new update? Thank you for sharing superb informations. Your site is so cool. I’m impressed by the details that you’ve on this web site. It reveals how nicely you perceive this subject. Bookmarked this website page, will come back for extra articles. You, my pal, ROCK! I found just the information I already searched everywhere and just couldn’t come across. What a great web-site. Admiring the commitment you put into your website and detailed information you present. It’s good to come across a blog every once in a while that isn’t the same old rehashed material. Excellent read! I’ve saved your site and I’m including your RSS feeds to my Google account. Hiya! I know this is kinda off topic however , I’d figured I’d ask. Would you be interested in trading links or maybe guest writing a blog post or vice-versa? My blog goes over a lot of the same topics as yours and I believe we could greatly benefit from each other. If you’re interested feel free to send me an e-mail. I look forward to hearing from you! Terrific blog by the way! Once I originally commented I clicked the -Notify me when new feedback are added- checkbox and now each time a comment is added I get 4 emails with the same comment. Is there any approach you’ll be able to take away me from that service? Thanks! of course like your web-site however you have to check the spelling on several of your posts. Several of them are rife with spelling problems and I to find it very troublesome to tell the reality however I will definitely come again again. I do not even know the way I finished up right here, but I assumed this submit was good. I don’t realize who you are but certainly you are going to a famous blogger in the event you aren’t already 😉 Cheers! Hi would you mind sharing which blog platform you’re working with? I’m planning to start my own blog in the near future but I’m having a tough time selecting between BlogEngine/Wordpress/B2evolution and Drupal. The reason I ask is because your layout seems different then most blogs and I’m looking for something completely unique. P.S Sorry for being off-topic but I had to ask! I’ve recently started a web site, the info you provide on this site has helped me tremendously. Thanks for all of your time & work. “The achievements of an organization are the results of the combined effort of each individual.” by Vince Lombardi. Regards for helping out, wonderful information. “If you would convince a man that he does wrong, do right. Men will believe what they see.” by Henry David Thoreau. Hello, Neat post. There is an issue along with your website in web explorer, may test this?K IE still is the marketplace leader and a good portion of other folks will omit your great writing due to this problem. hey there and thank you for your information – I have definitely picked up something new from right here. I did however expertise several technical issues using this site, as I experienced to reload the website many times previous to I could get it to load correctly. I had been wondering if your web host is OK? Not that I’m complaining, but slow loading instances times will sometimes affect your placement in google and can damage your quality score if ads and marketing with Adwords. Well I’m adding this RSS to my email and could look out for much more of your respective exciting content. Ensure that you update this again soon.. Pretty nice post. I just stumbled upon your weblog and wanted to mention that I’ve really enjoyed browsing your weblog posts. In any case I will be subscribing on your rss feed and I hope you write once more very soon! Thanks a lot for giving everyone an exceptionally memorable possiblity to read articles and blog posts from this blog. It can be very nice and also jam-packed with fun for me and my office colleagues to search your site the equivalent of 3 times every week to read through the latest guides you have. And definitely, I’m at all times satisfied with all the superb solutions you give. Some 2 tips in this article are surely the most impressive we have ever had. You completed some good points there. I did a search on the issue and found a good number of folks will go along with with your blog. Very good blog! Do you have any tips for aspiring writers? I’m hoping to start my own site soon but I’m a little lost on everything. Would you suggest starting with a free platform like WordPress or go for a paid option? There are so many options out there that I’m completely confused .. Any ideas? Thanks a lot! Excellent post. I used to be checking constantly this weblog and I am impressed! Very useful information specifically the last phase 🙂 I take care of such information much. I was seeking this particular information for a very lengthy time. Thanks and good luck. Well I truly enjoyed reading it. This tip provided by you is very helpful for proper planning. hey there and thank you for your information – I’ve certainly picked up anything new from right here. I did however expertise several technical points using this website, since I experienced to reload the website lots of times previous to I could get it to load correctly. I had been wondering if your web host is OK? Not that I’m complaining, but sluggish loading instances times will sometimes affect your placement in google and can damage your high quality score if advertising and marketing with Adwords. Well I am adding this RSS to my e-mail and can look out for a lot more of your respective intriguing content. Make sure you update this again very soon..